Snacks are a comfort, a quick fix if you’re in a hurry, and necessary to keep your metabolism running as it should all day long. From nuts and protein bars to dark chocolate and chips, these lectin-free snacks are on Dr. Gundry’s “Yes” list. Plus, the whole family will love them. The The Real Coconut Gluten Free Coconut Flour Tortilla Chips 5.5oz (Original). A Dr. Gundry favorite. 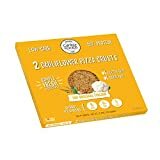 The Cali'flour Foods Gluten Free, Low Carb Cauliflower Original Italian Pizza Crusts - 1 Box - (2 Total Crusts Per Box). A Dr. Gundry favorite. The Siete Paleo Tortillas Sampler Pack, Almond Flour & Cassava Coconut, 8 count (2 packs total). A Dr. Gundry favorite. The Popped Sorghum Avocado Oil & Sea Salt 5 oz (6 pack)- A Snack Healthier Than Popcorn: Gluten Free, Non GMO, Vegan, Low In Lectin, Popped In Oil. A Dr. Gundry favorite. The Julian Bakery : Paleo Wraps : Gluten-Free : Grain-Free : 7 Individual Wraps : 6 Net Carbs. A Dr. Gundry favorite. The Spanish Marcona Almonds Fried in Extra Virgin Olive Oil and Salted - 8 Ounces. A Dr. Gundry favorite. The Organic Raw Tigernuts (12 oz). A Dr. Gundry favorite. 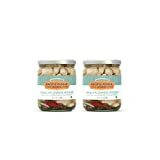 Eden Foods Organic Shelled and Dry Roasted Pistachios, 1 Ounce - 12 per case. 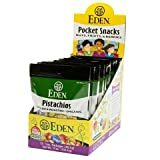 The Eden Foods Organic Shelled and Dry Roasted Pistachios, 1 Ounce - 12 per case.. A Dr. Gundry favorite. The Quest Nutrition Cinnamon Roll Protein Bar, High Protein, Low Carb, Gluten Free, Soy Free, Keto Friendly, 12 Count. A Dr. Gundry favorite. 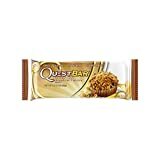 The Quest Nutrition Protein Bar, Banana Nut Muffin, 20g Protein, 4g Net Carbs, 180 Cals, Low Carb, Gluten Free, Soy Free, 2.12oz Bar, 12 Count, Packaging May Vary. A Dr. Gundry favorite. 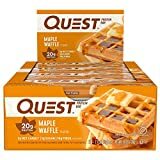 The Quest Nutrition Maple Waffle Protein Bar 2018 NEW FLAVOR. A Dr. Gundry favorite. The Quest Nutrition Strawberry Cheesecake Protein Bar, High Protein, Low Carb, Gluten Free, Soy Free, Keto Friendly, 12 Count. A Dr. Gundry favorite. The Lily's Dark Chocolate with Stevia Extra Dark -- 2.8 oz - 2 pc. A Dr. Gundry favorite. The Cacoco, Beverage Drinking Chocolate Midnight Mystic, 7.11 Ounce. A Dr. Gundry favorite. The DAGOBA Organic Chocolate Candy Bar, Eclipse Extra Strong Dark Chocolate (Pack of 6). A Dr. Gundry favorite. The Saueruben (Traditional German Sauerkraut with Turnips), Raw, Fermented, Probiotic, Organic, 16 Oz (1 Jar). A Dr. Gundry favorite. The Golden Beets with Carrot & Ginger, Raw, Fermented, Probiotic, Organic, 16 Oz. A Dr. Gundry favorite. The Jake & Amos - Pickled Asparagus / 2 - 16 Oz. Jars. A Dr. Gundry favorite. The Specialty Variety Pickles Gift Pack (6-pack) - variety of pickled Brussels sprouts, pickled carrots, pickled beets, pickled fennel, pickled okra and pickled cauliflower. A Dr. Gundry favorite. 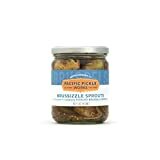 The Brussizzle Sprouts (1-pack) - Semi-sweet pickled Brussels sprouts wedges 16oz. A Dr. Gundry favorite. 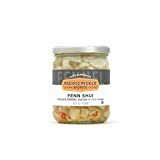 The Cauliflower Power (2-pack) - Pickled cauliflower florets 16oz. A Dr. Gundry favorite. The Pacific Pickle Works, Fenn Shui, 16 Ounce. A Dr. Gundry favorite. 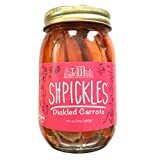 The Brooklyn Whatever Shpickles Pickled Carrots, Handmade, Sugar Free, Gluten Free, Soy Free, Vegan, All Natural, 24oz Jar. A Dr. Gundry favorite. The Jackson's Honest Sweet Potato Chips, Cooked in Coconut Oil, Paleo Friendly, 5 Oz, (1 Pack). A Dr. Gundry favorite. 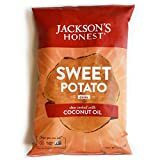 The Jackson’s Honest Potato Chips, Sweet Potato, Cooked in Natural, Healthy, Nutrient Dense Organic Coconut Oil, Non GMO Snacks, As Seen On Shark Tank, 1.2 Ounce, Pack of 36. A Dr. Gundry favorite. The Inka Crops Inka Crops Roasted Plantains, 4-Ounce bags (Pack of 12). A Dr. Gundry favorite. The 3 Pack Value: Cello Whisps Pure Parmesan Cheese Crisps. A Dr. Gundry favorite. The Cello Whisps Pure Parmesan Cheese Crisps, 12 Pack of 2.12 Ounce Bags. A Dr. Gundry favorite. 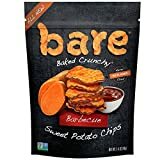 The Bare Baked Crunchy Sweet Potato Chips, Barbeque, Gluten Free, 1.4 Ounce Bag, 8 Count. A Dr. Gundry favorite. 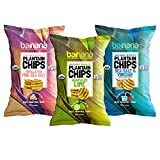 The Barnana Organic Plantain Chips - 3 Pack Plantains Variety Pack - Lime, Pink Salt, Vinegar - One 5 Ounce Bag Each - Salty, Crunchy, Thick Sliced Snack - Best Chip For Your Everyday Life. A Dr. Gundry favorite. 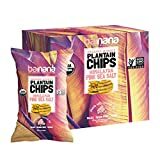 The Barnana Organic Plantain Chips - Himalayan Pink Salt - 5 Ounce, 8 Pack Plantains - Barnana Salty, Crunchy, Thick Sliced Snack - Best Chip For Your Everyday Life - Cooked in Premium Coconut Oil. A Dr. Gundry favorite. 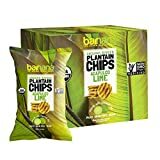 The Barnana Organic Plantain Chips - Acapulco Lime - 5 Ounce, 8 Pack Plantains - Barnana Salty, Crunchy, Thick Sliced Snack - Best Chip For Your Everyday Life - Cooked in Premium Coconut Oil. A Dr. Gundry favorite. 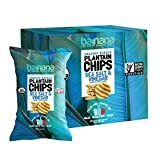 The Barnana Organic Plantain Chips. A Dr. Gundry favorite. 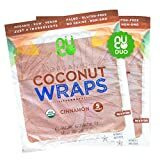 The All-Natural, Paleo, Gluten Free, Vegan Non-GMO, Kosher Raw Veggie NUCO Coconut Wraps Cinnamon Flavor. NO Salt Added Low Carb and Yeast Free 10 Count (Two Packs of Five Wraps Each). A Dr. Gundry favorite. 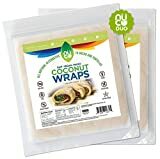 The All Natural, Paleo, Gluten Free, Vegan Non-GMO, Kosher Raw Veggie NUCO Coconut Wraps Original Flavor. NO Salt Added Low Carb and Yeast Free 10 Count (Two Packs of Five Wraps Each). A Dr. Gundry favorite. 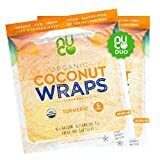 The All-Natural, Paleo, Gluten Free, Vegan Non-GMO, Kosher Raw Veggie NUCO Coconut Wraps Turmeric Flavor. NO Salt Added Low Carb and Yeast Free 10 Count (Two Packs of Five Wraps Each). A Dr. Gundry favorite. The Barely Bread 100 Percent Grain Free Sliced Bread Loaf, 11 Ounce (Pack of 06). A Dr. Gundry favorite. The Pop I.Q. – The Best Healthy Snack – Organic Air Popped Sorghum Grain, Sea Salt & Pepper Flavor – non-GMO, Vegan, Gluten-Free (Pack of 12 Single Servings). A Dr. Gundry favorite. The Pop I.Q. – The Best Healthy Snack – Organic Air Popped Sorghum Grain, Tuscany Flavor w/Extra Virgin Olive Oil – non-GMO, Vegan, Gluten-Free (Pack of 12 Single Servings). A Dr. Gundry favorite. Nutritious You Tortilla Crackers, Raw Vegan Organic, Corn Free, Gluten Free, Flour Free. The Nutritious You Tortilla Crackers, Raw Vegan Organic, Corn Free, Gluten Free, Flour Free.. A Dr. Gundry favorite. The Organic Puerh Tea - Premium Quality Fermented Pu erh Tea - Energizing, Detoxifying & Delicious - Aged Black Yunnan Tea - 20 Teabags (2 grams per serving). A Dr. Gundry favorite. The The PUR Company | Sugar-Free + Aspartame-Free Chewing Gum | 100% Xylitol | Spearmint | Vegan + non GMO | 55 Pieces per Bag. A Dr. Gundry favorite. The Pur Mints 5 Flavor Variety Pack - Tangerine Tango, Mojito Lime Mint, Polar Mint, Peppermint & Spearmint - 20 Pieces Each. A Dr. Gundry favorite. The Pique Tea - Premium Instant Tea Crystals - Jasmine Green Tea - USDA Organic - Unsweetened Tea Powder - No Sugar, No Preservatives, No Artificial Flavoring - 14 Servings - Enjoy Hot or Iced. A Dr. Gundry favorite. 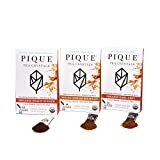 The Pique Organic Black Tea Crystals Sampler, Antioxidants, Energy, Gut Health, 42 Single Serve Sticks (Pack of 3). A Dr. Gundry favorite.